As of GeoTeric 2016, Red Hat Enterprise Linux (RHEL) version 5 will no longer be a supported platform for GeoTeric. Please join us at booth #48A at the SBGf next week- August 3rd-6th- in SulAmerica Conference Centre, Rio de Janeiro. For 10 years, the EAGE Student Lecture Tour has given students the chance to gain a greater insight into their industry field as well as the opportunity to further integrate into the Geoscience and Engineering student communities and network with industry professionals. Foster Findlay Associates (ffA) has released a plug-in linking GeoTeric 2015 and Landmark’s DecisionSpace® Geosciences as part of Landmark’s iEnergy® Partner Program. This new plug-in enables GeoTeric and DecisionSpace Geosciences users to move seismic volumes, horizons and well data rapidly and extend data-sharing and seismic interpretation workflows seamlessly across the two industry-leading E&P technologies. 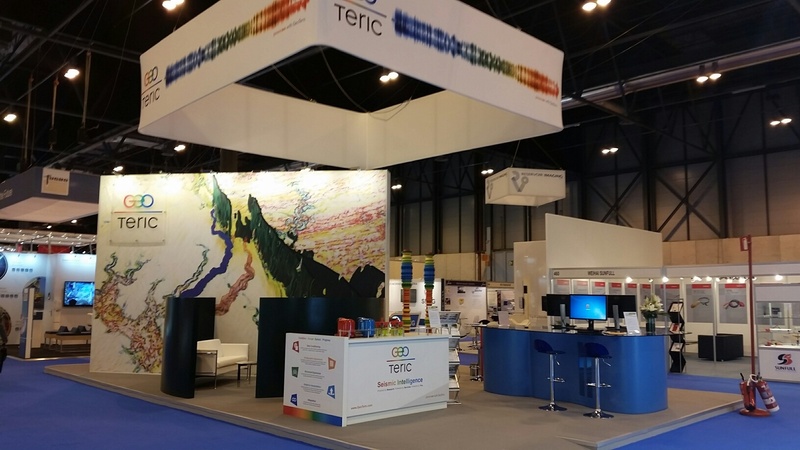 The team here at GeoTeric have just about recovered from a busy week at EAGE earlier this month.